As Christians, life can hit us as hard as it hits anyone else. We have problems just like everyone else. We experience financial hardships, sicknesses and accidents just like everyone else. We go through divorces and find ourselves on detours that we never thought we would see, just like everyone else. We hurt, we bleed and we scar, just like everyone else! Christianity does not exempt us from having problems. And during those storms of life, it hard to remember that we have more than just a savior. Christ died and rose not only for our salvation (so we could go to heaven). Our peace (Now may the Lord of peace Himself give you peace at all times and in every way. 2Thessalonians 3:16). Our physical and emotional healing (Jesus went throughout Galilee, teaching in their synagogues, preaching the gospel of the kingdom, and healing every disease and sickness among the people. Matthew 4:23). Our protection (But the Lord is faithful, and he will strengthen you and protect you from the evil one. 2Thessalonians 3: 3). Our financial provision (And my God will supply all your needs according to His glorious riches in Christ Jesus. Philippians 4:19). He died for us to have Heaven right here on earth. After all, how effective is His death if we only get to enjoy the benefits after we get to Heaven? He died so that we can live right now. And when I say “live,” I don’t mean someone who is merely breathing. BUT someone who is enjoying life here on earth. Someone who is walking in their purpose and passionately living intentionally to glorify God. Someone who is living life more abundantly! The woman who lives life more abundantly is the woman who may not have everything she wants, but she has the joy of the Lord; she’s happy, regardless. Though things don’t always go her way, she has peace on the inside because she knows that God is in control. Not her. She has freely released the fear, hurt, anger, rejection and unforgiveness of her past. She is busy pursuing her purpose or pursuing God to find her purpose. She is grateful for life and knows how to fully enjoy adventures with other people or alone. What if my life doesn’t reflect any of that? Just because you’re currently on a detour—off track from where you’d thought you would be by now—doesn’t mean that it will last forever. To make it clear, let’s examine the day we now refer to as Good Friday. Good Friday is the day that Jesus died. It was originally a day of mourning because believers thought it was over for them. They thought that Jesus’ enemies had won. And if Jesus couldn’t defeat His enemies, how could He help them defeat their enemies? And maybe you’re in that position now. You’re mourning because of a loss, pain or struggle that you’re experiencing. Maybe you’re in a dark place. I want you to know that it’s ok to mourn. It’s ok to acknowledge that you’re disappointed and hurting. You should take some time to grieve. But you can’t stay there very long. You must get up, dust yourself off and walk in the victory that Christ died for. 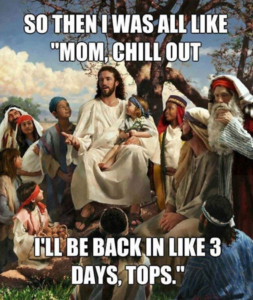 Because every Good Friday, has an Easter Sunday! 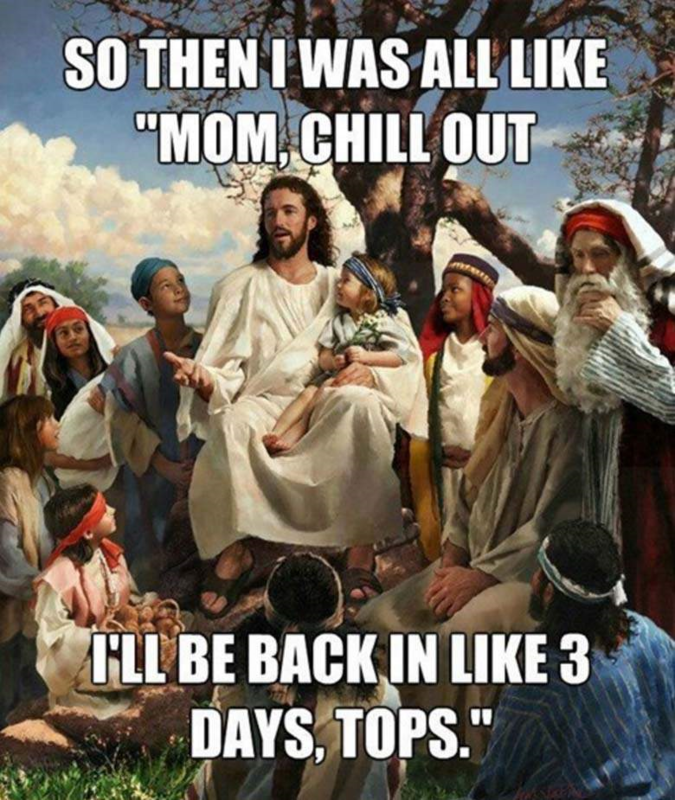 Just as Jesus died on Friday, He rose on Sunday. You should rise and fight everything that’s been holding you back from living your life to the fullest. Easter represents the reason why we are all Christians. If you’re not going to claim your Easter Sunday, then why be a Christian? Because everybody— Christians and non-Christians alike— has Good Fridays where they “die” and mourn the trials of life. But the difference between us and them is Easter! Our ability to rise up, knowing that Christ has already fought and won the victory for us. We don’t have to stay sad, mad or depressed when we focus on Him. So, don’t make everyday a “Good Friday” of mourning. Choose to rise in victory on Easter Sunday! « Are Men Really Intimidated by Strong, Successful Women?